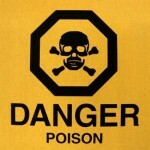 More Bad News: Fosamax Linked to Esophageal Cancer! Osteoporosis News: Merck, Maker of Fosamax, in Trouble! Quick Question: What Is Osteopenia?